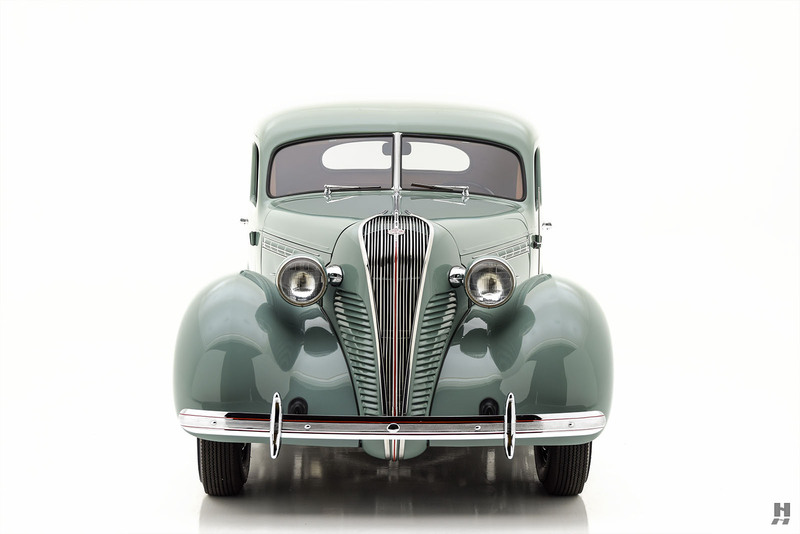 Upon its debut in 1932, the Essex Terraplane was one of the most exciting new cars in America – second only to Henry Ford’s new V8. 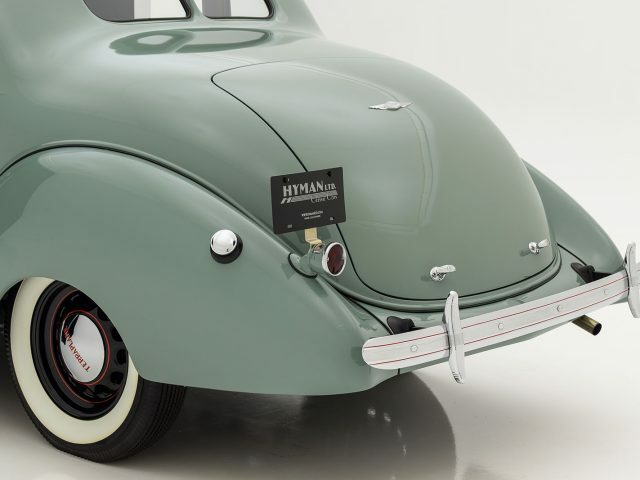 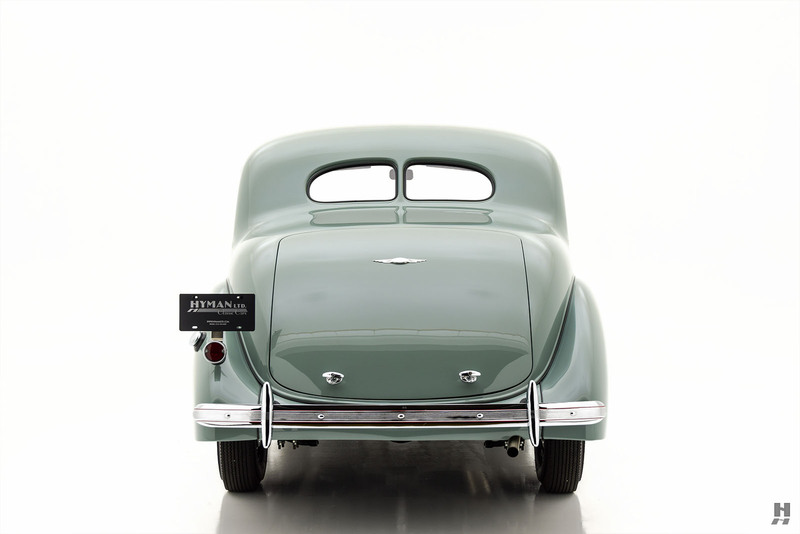 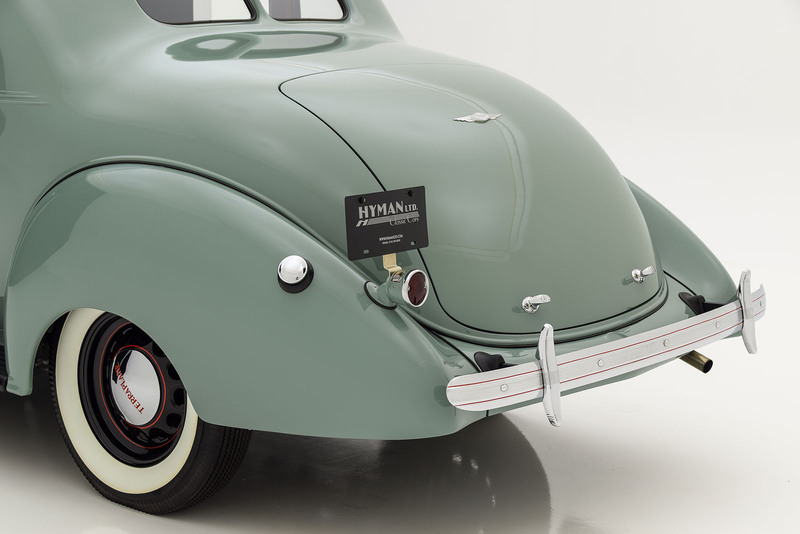 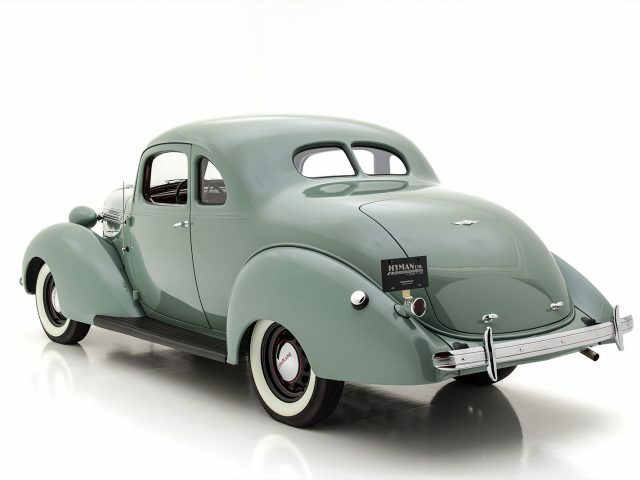 Initially, the new model sat within the Hudson Motor Car Company’s companion brand. 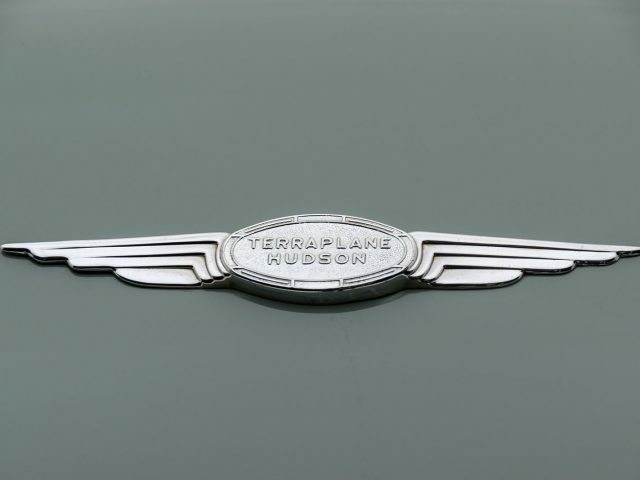 The Terraplane was praised for its quality, performance, and value; aligning it squarely within Hudson’s principles. 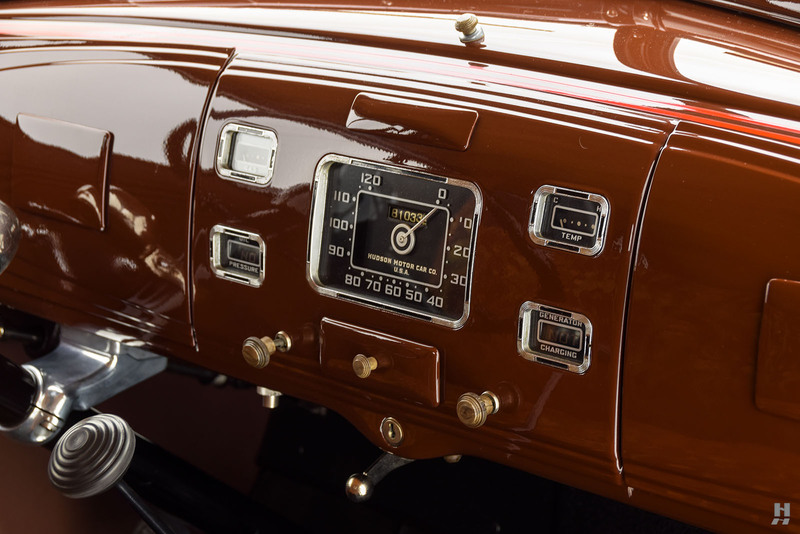 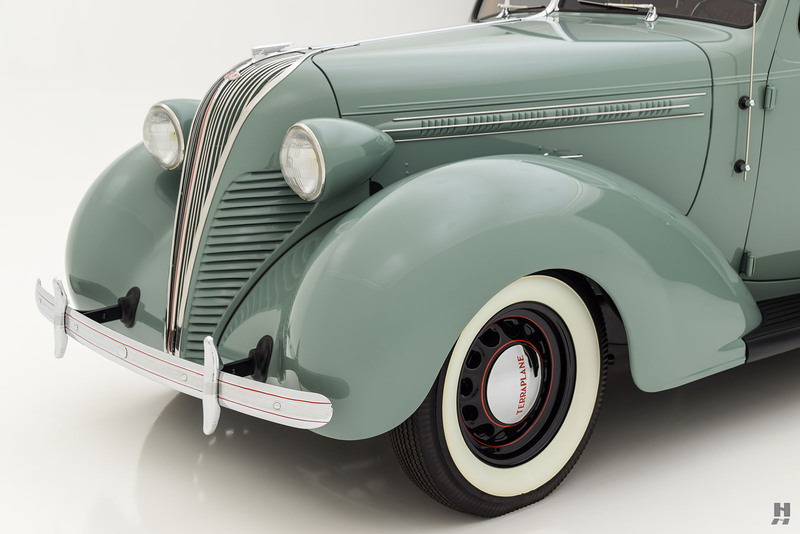 As good a car as the Terraplane was, the marketing team earned their due credit, ensuring high-profile national heroes Orville Wright and Emelia Earhart received the first two production cars. 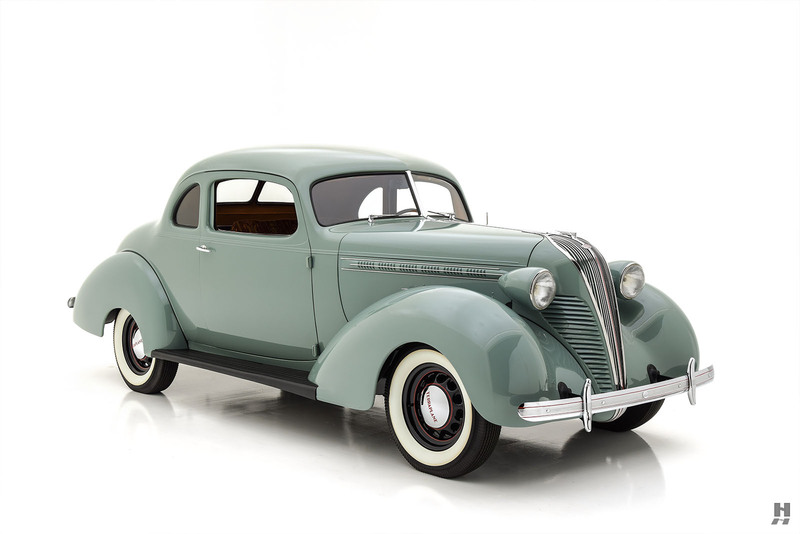 The car was so popular that by 1934, Hudson dropped Essex and adopted Terraplane as its new junior brand. 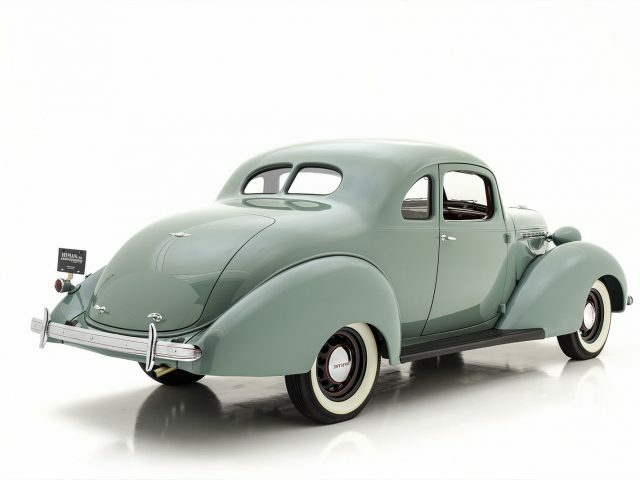 The car delivered spirited performance for its class, which Hudson advertisers appropriately referred to as “Land Flying.” Terraplane cars achieved notoriety at Bonneville, setting numerous 24-hour speed records. 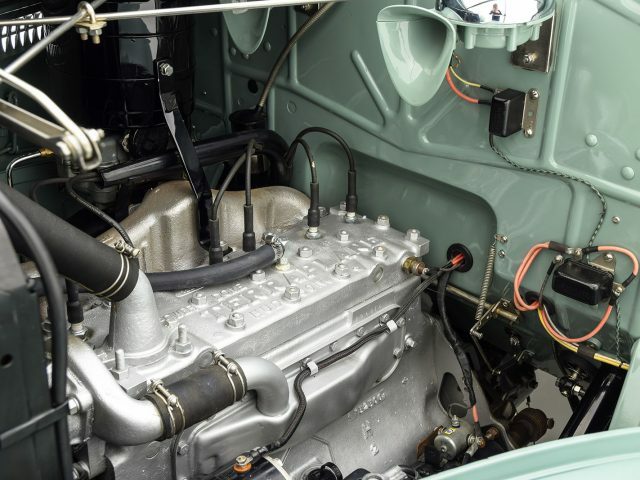 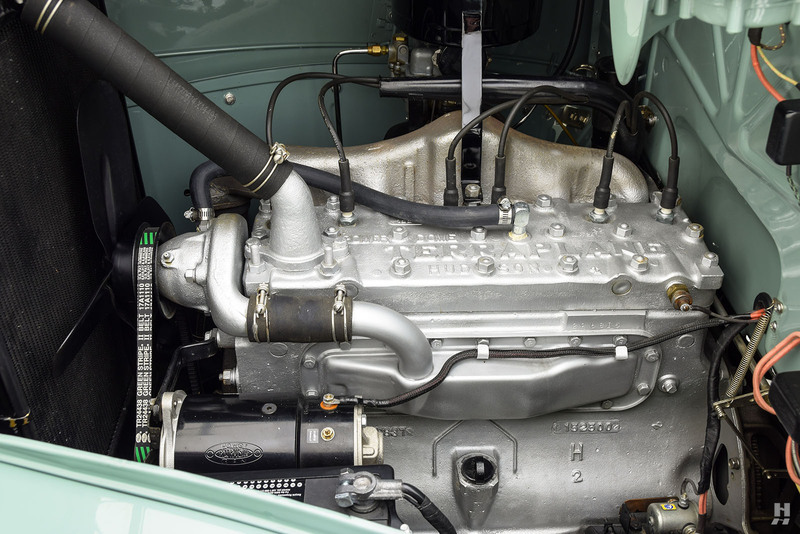 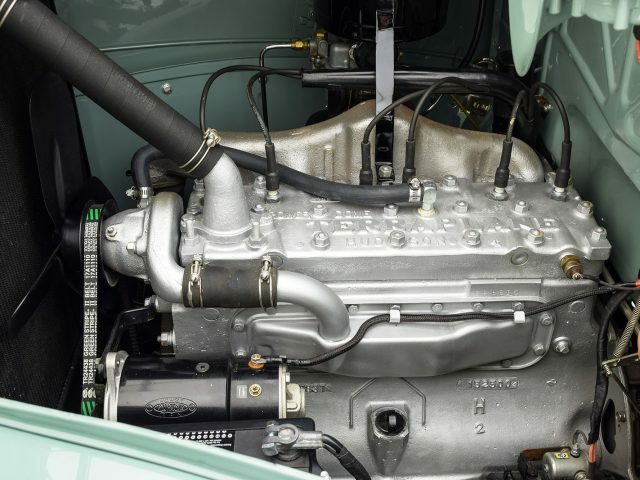 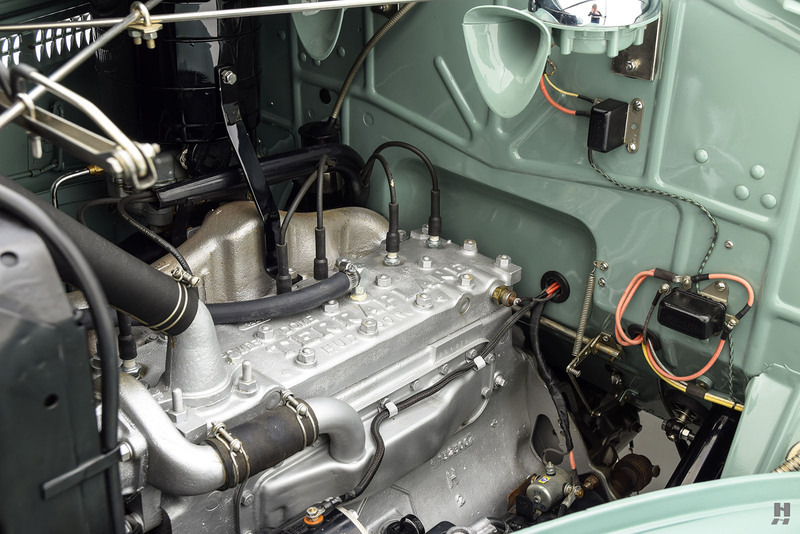 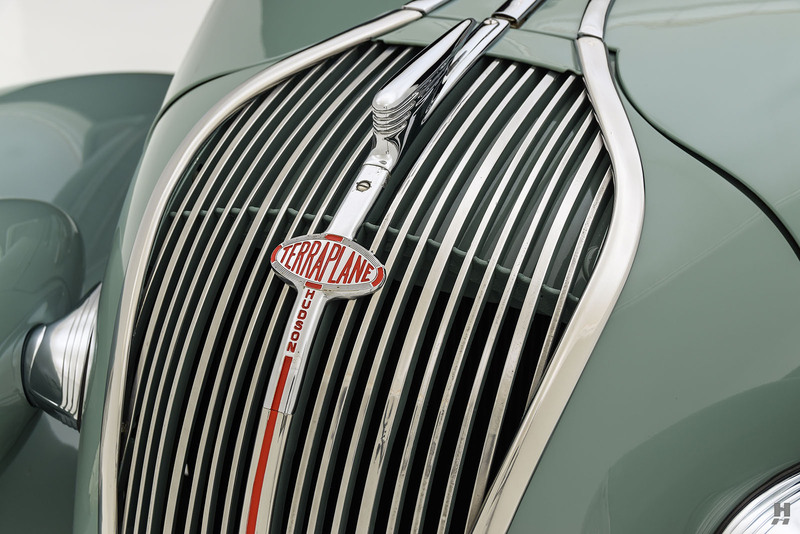 The Terraplane line continued through the 1930s, selling well and introducing features such as telescopic dampers and a primitive independent front suspension to the low-cost car market. 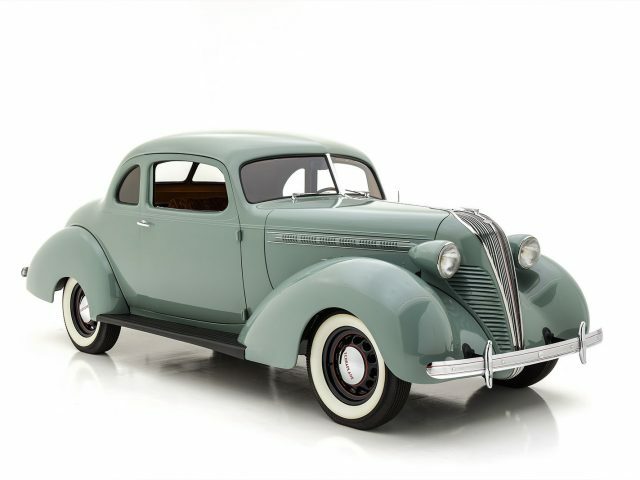 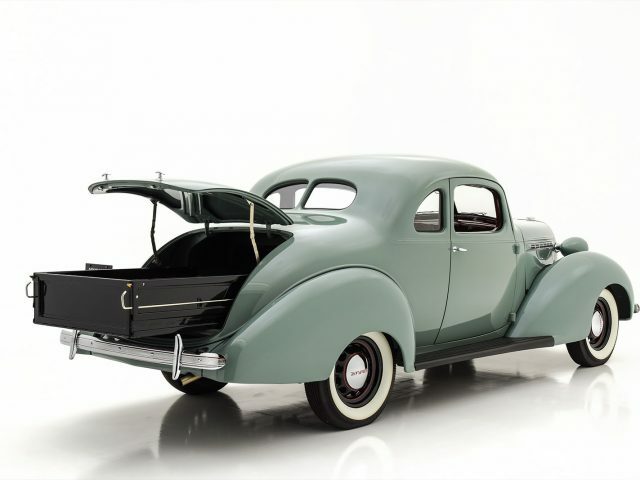 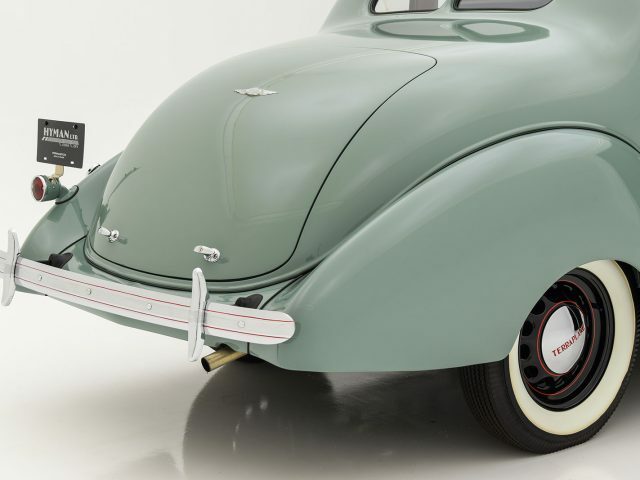 By 1937, Hudson and Terraplane were very close in specification and style, with the two cars looking nearly identical aside from wheelbase and trim. 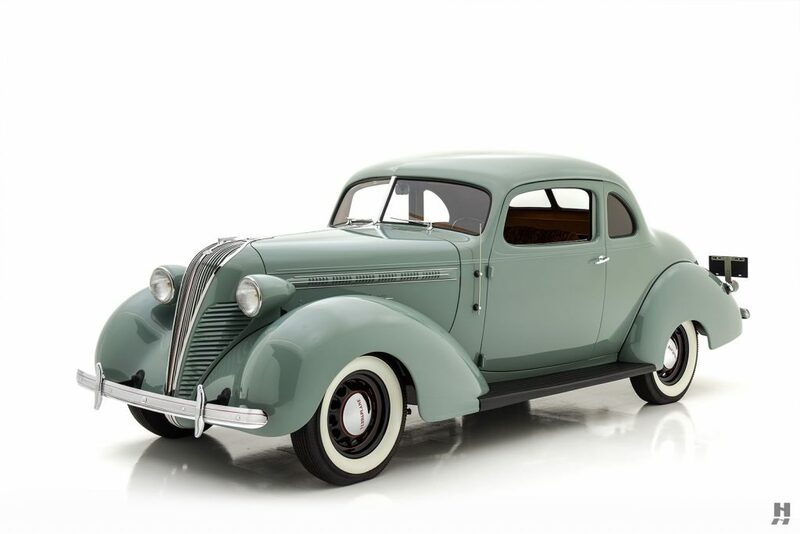 Seventeen trim and body combinations were available in 1937, with the base “Deluxe Terraplane” range starting at $595, going all the way to the fully equipped “Super Terraplane” range which maxed out at $880. 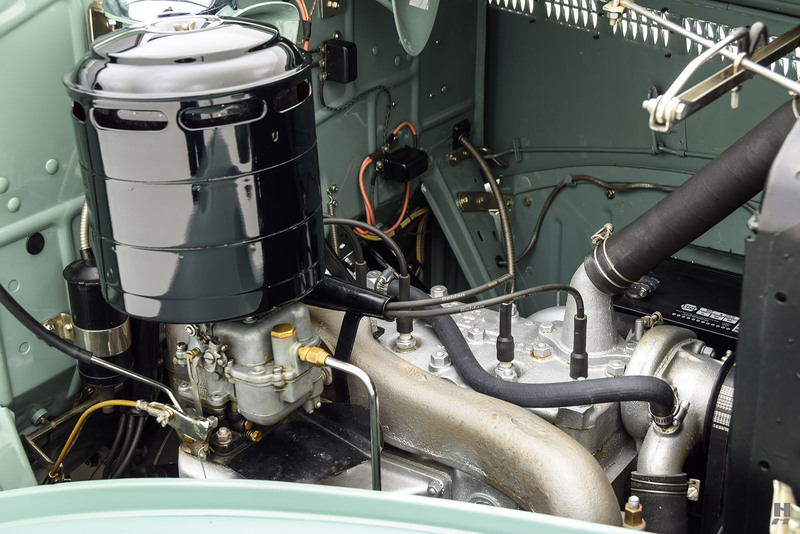 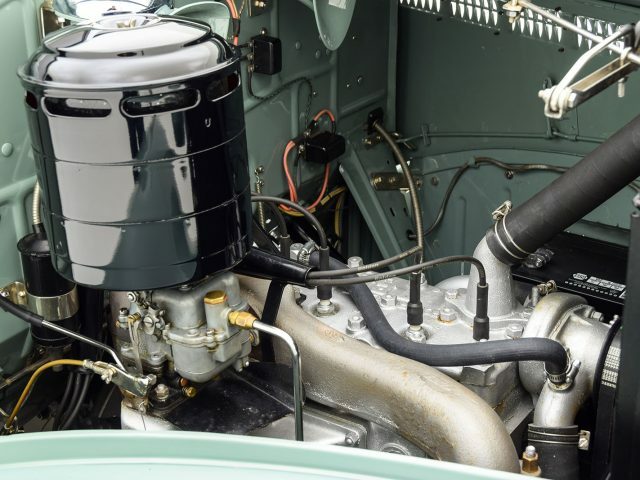 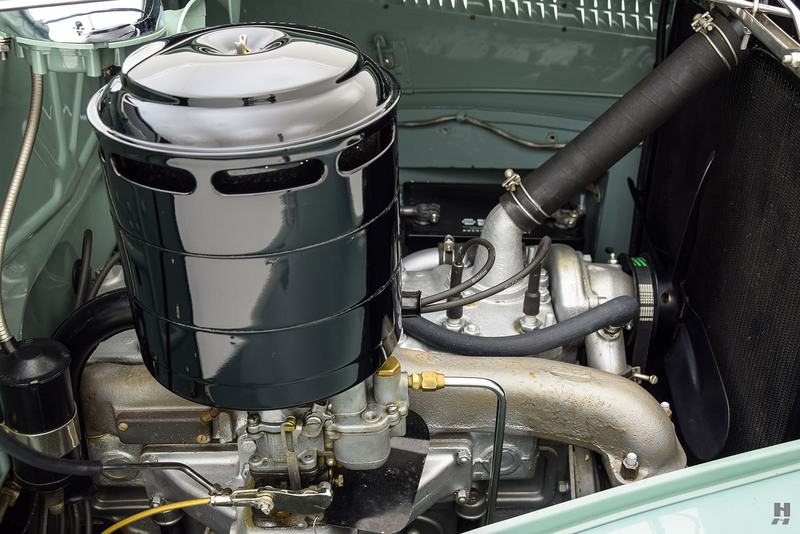 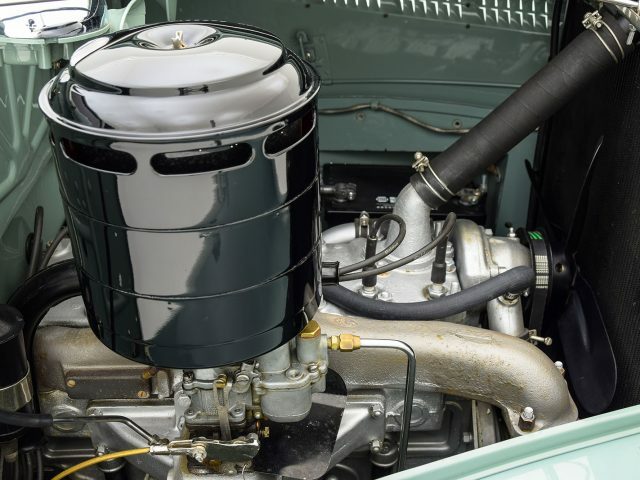 Power came in the form of a 212 cubic-inch, 96 horsepower L-head inline six, with the option of a high compression head to boost output to 107 horsepower. 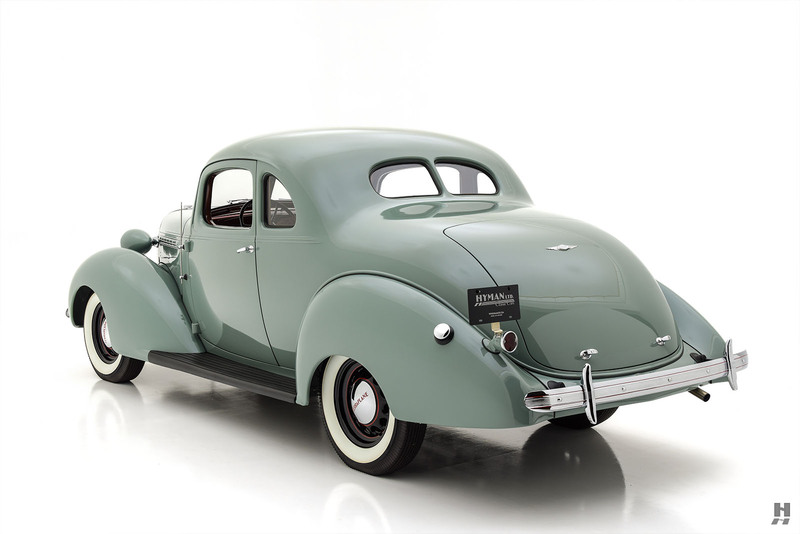 In either form, the Hudson six was torquey, smooth, and exceptionally refined for a mid-priced car. 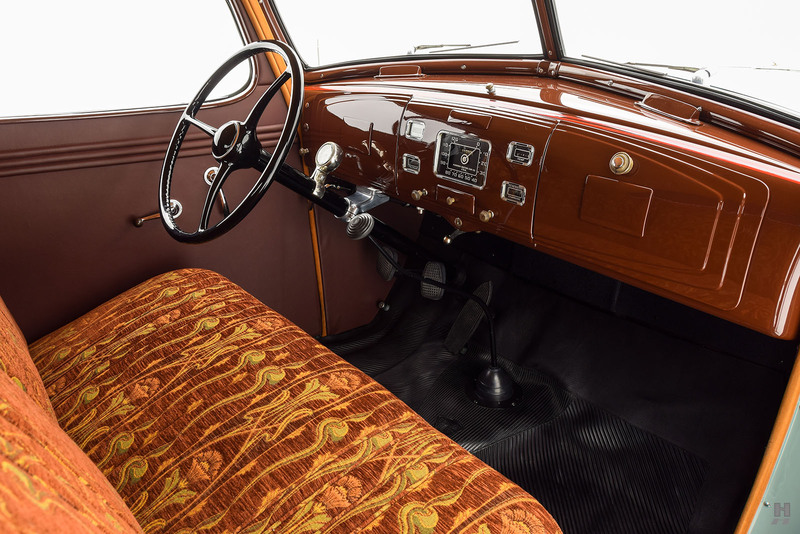 A major selling point was the full 55-inch wide front seat; the industry’s first true three-across seating. 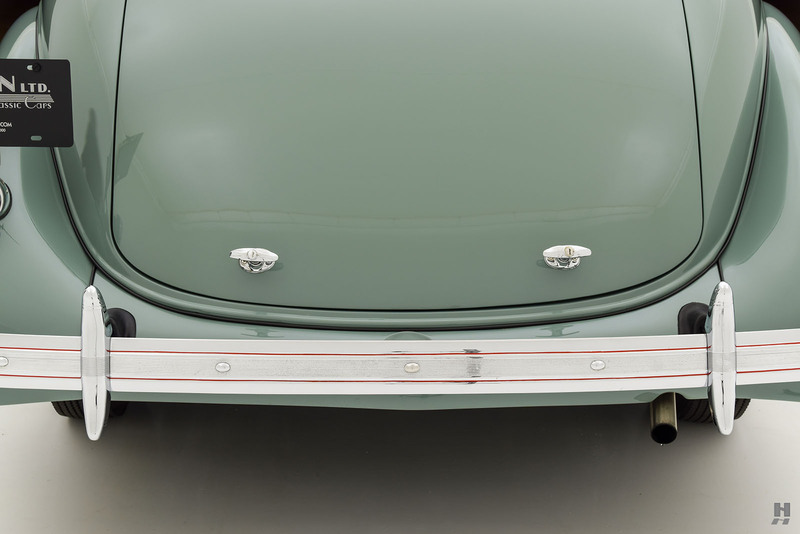 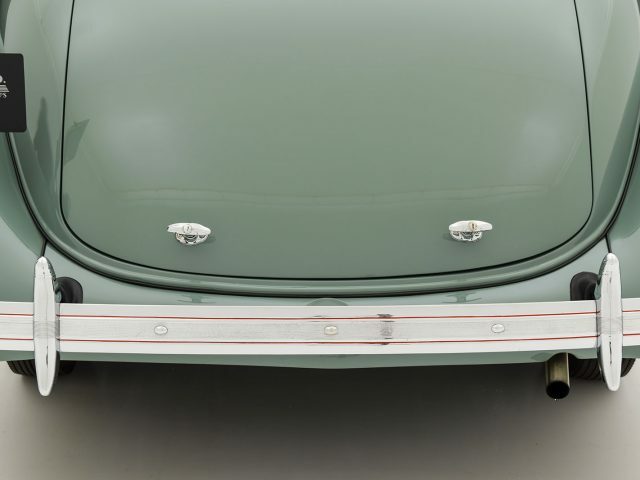 At motor shows, Hudson gave out 55-inch long “yardsticks” so consumers could test the difference themselves. 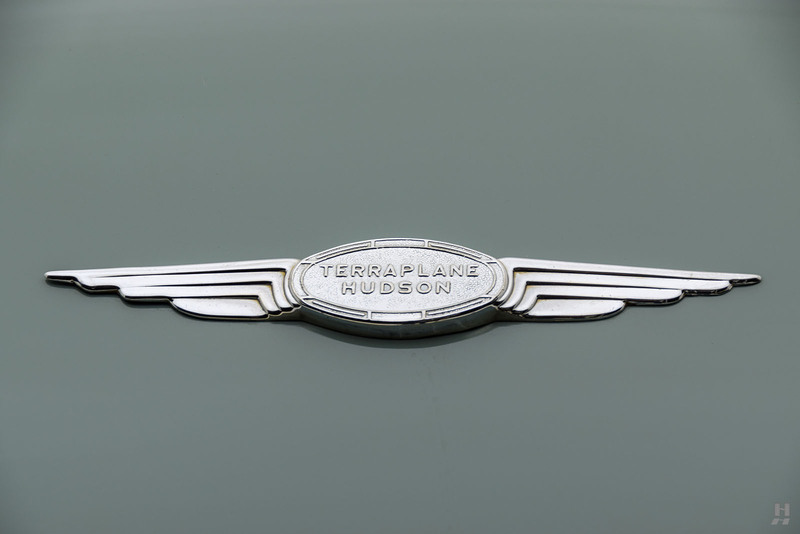 Robust sales continued, with over 83,000 cars shipped to dealers in 1937. 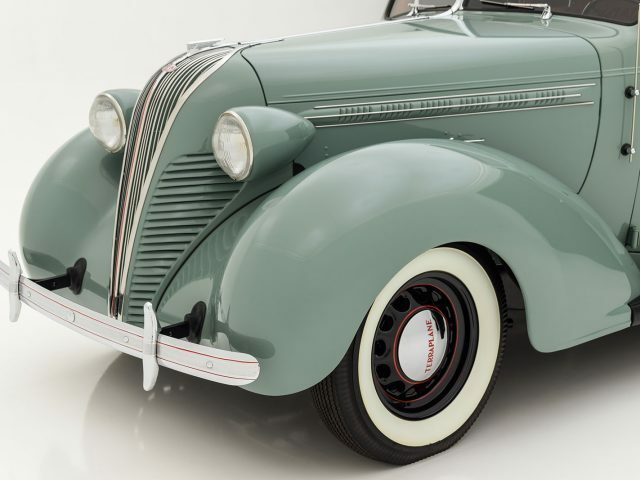 Despite the relative success, Terraplane’s days as a separate marque were limited, as Hudson absorbed them into the main line after the 1938 model year. 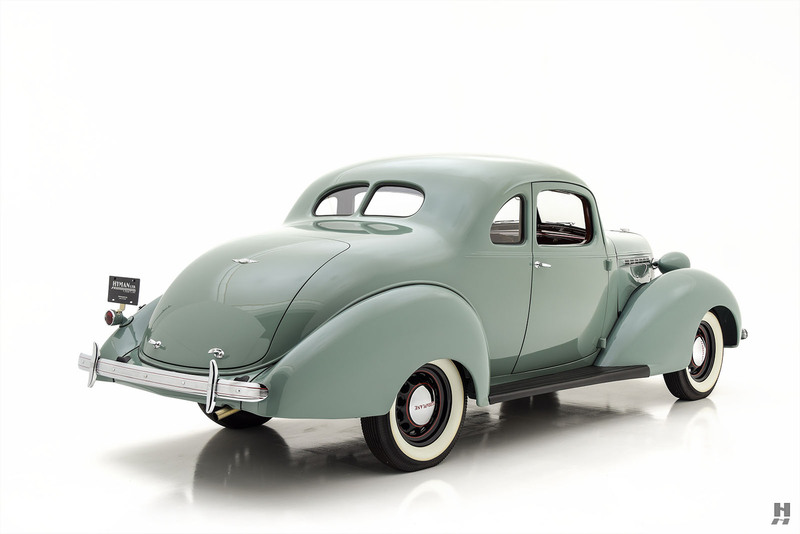 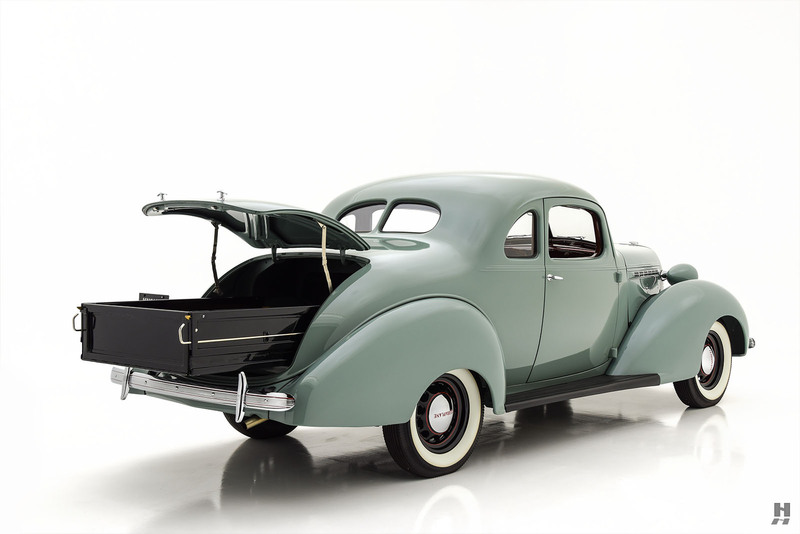 One of the rarest and most distinctive models in the 1937 Terraplane line is this 3-passenger Utility Coupe. 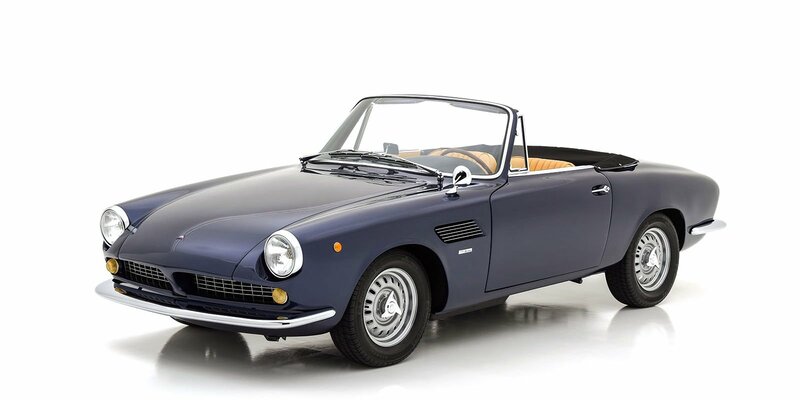 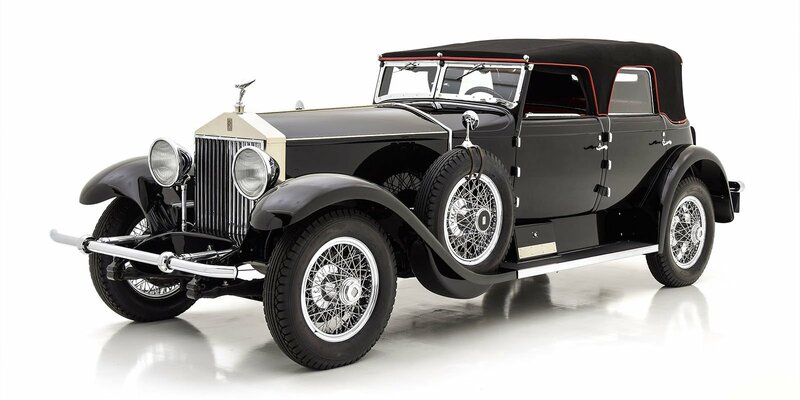 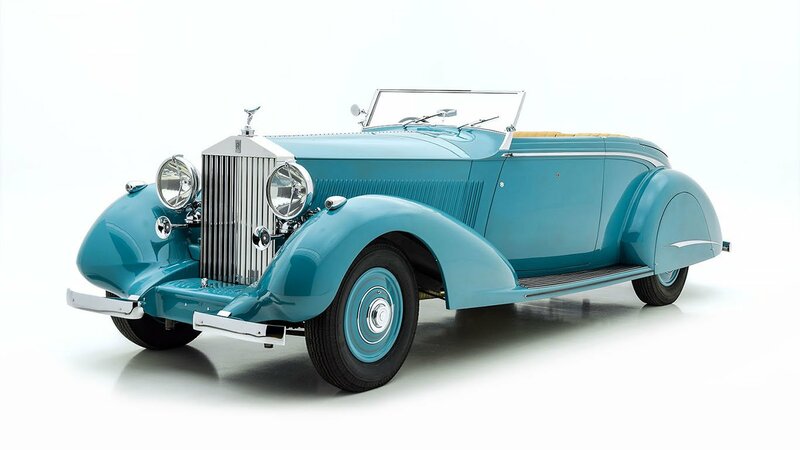 One of just a handful known to exist, this example is undoubtedly the finest of its kind; subject to a no-expense-spared, concours-quality restoration totaling $263,000. 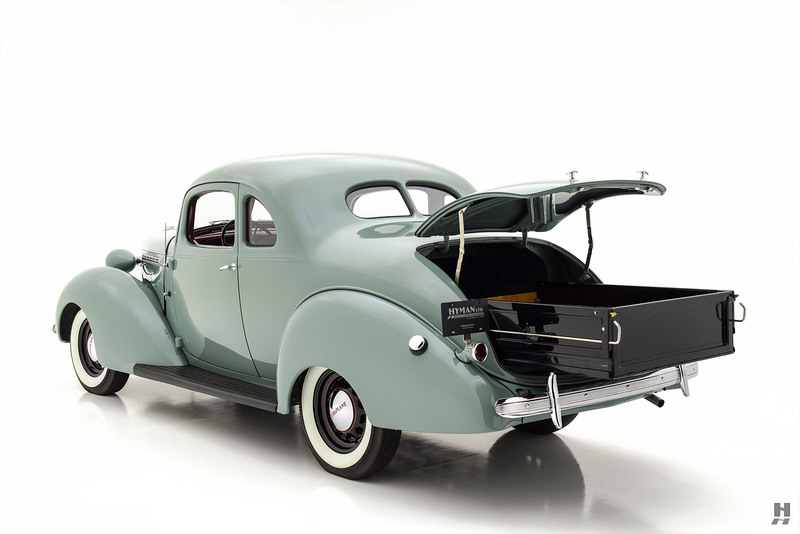 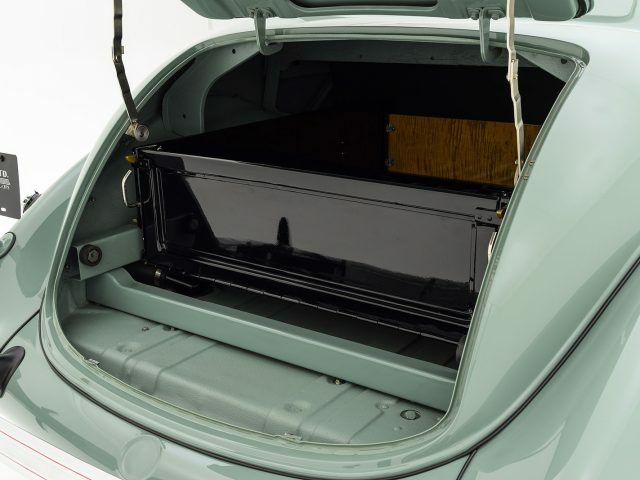 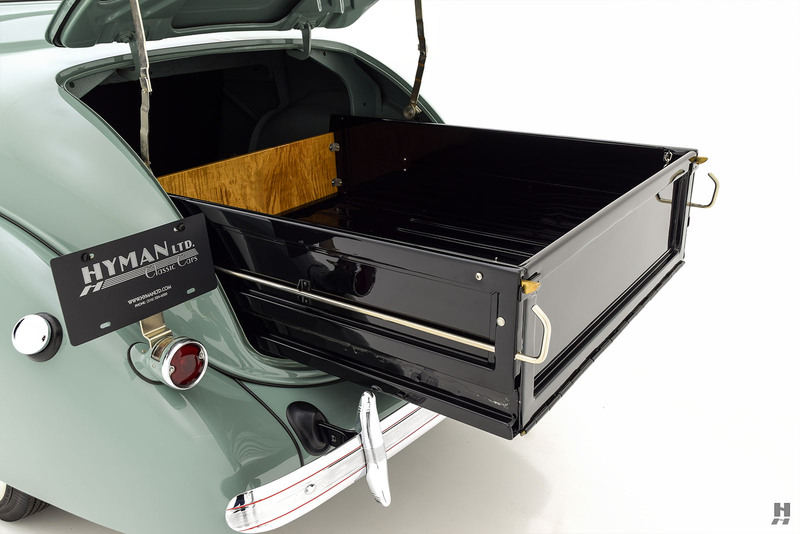 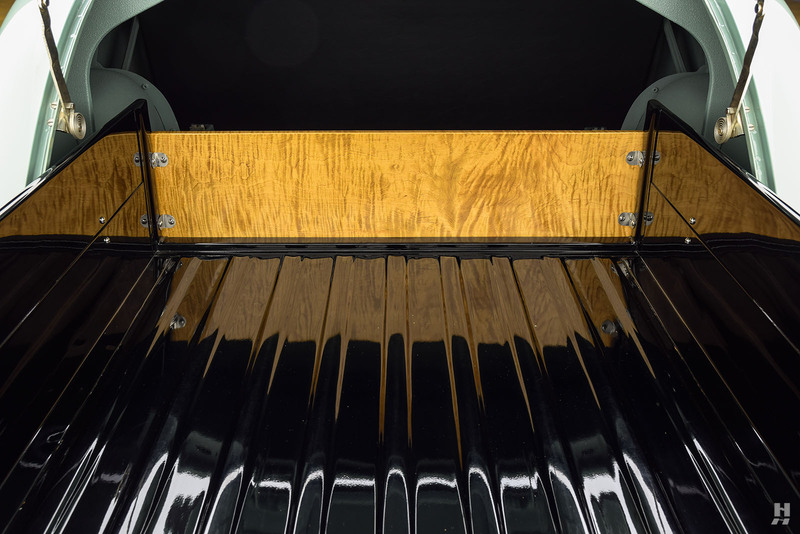 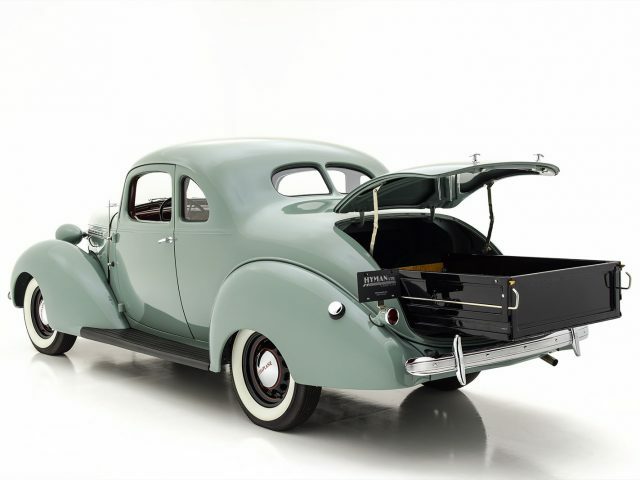 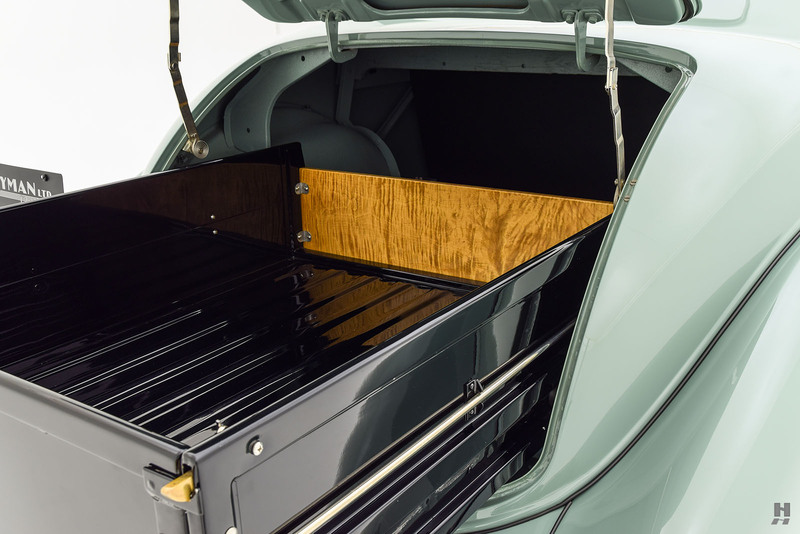 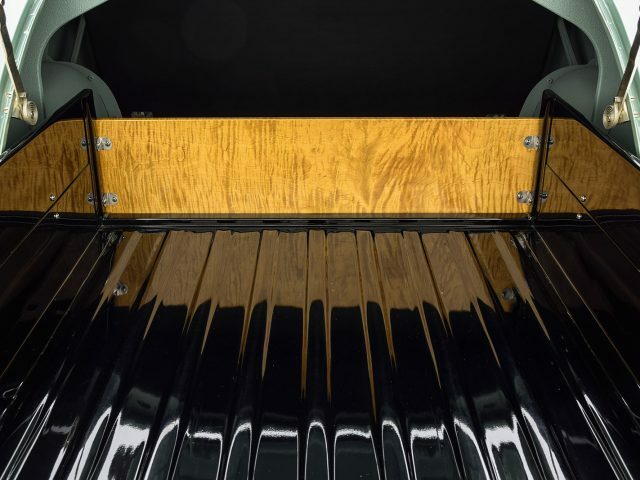 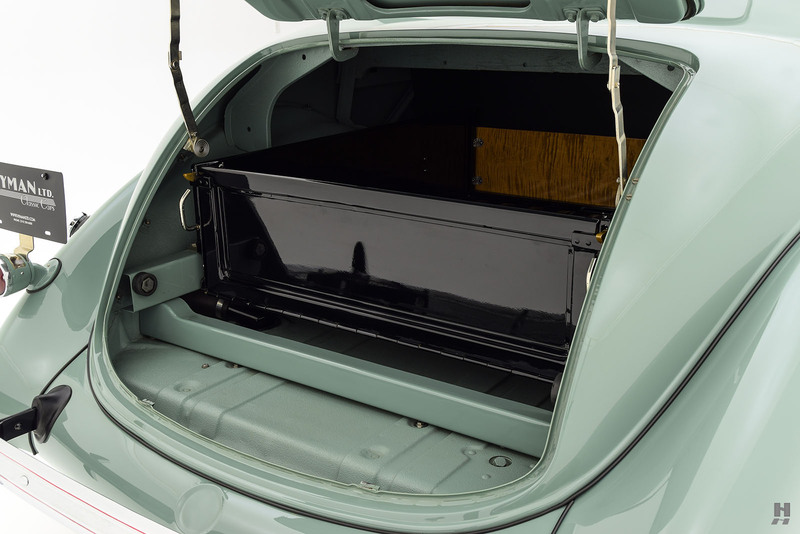 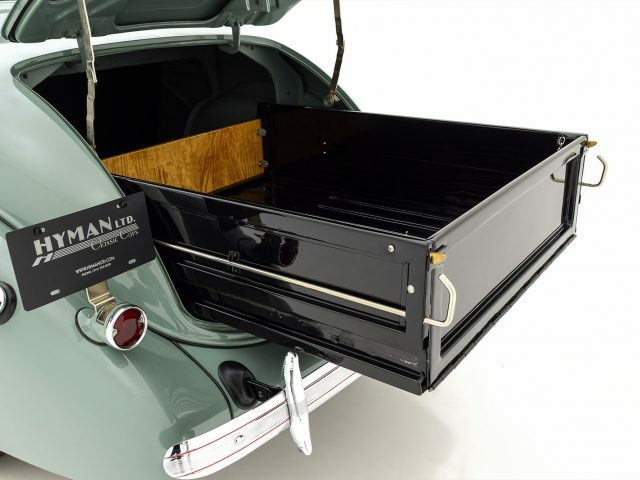 Outwardly, the Utility Coupe looks like any standard 2-door coupe; however, its party-trick is revealed in the trunk, which features a generously sized slide-out cargo bed. 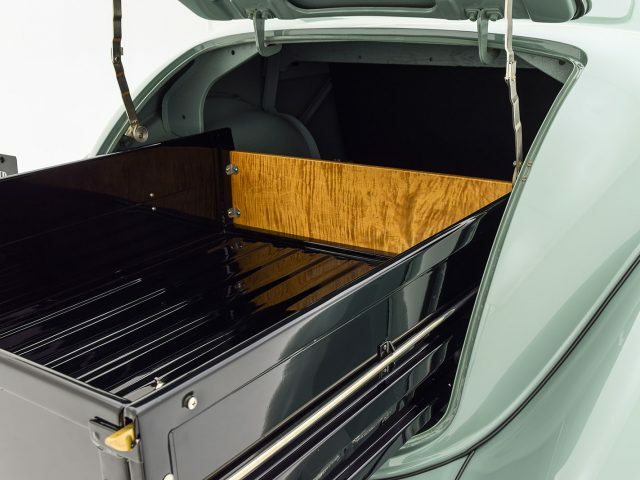 Beautifully melding practicality and style into one vehicle, it is a clever use of the copious trunk space and a clever attempt at creating an all-purpose car. 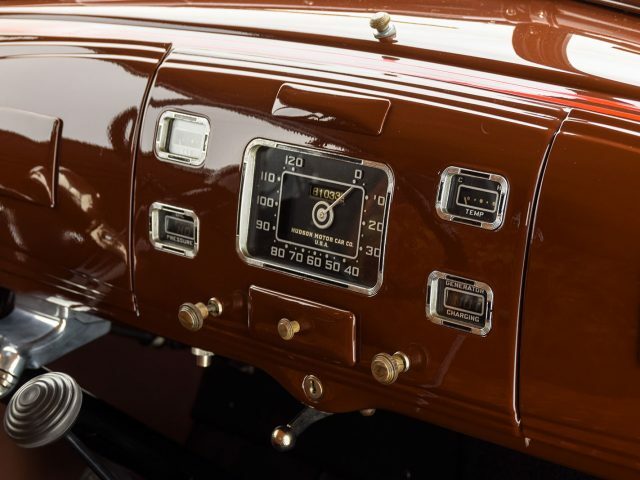 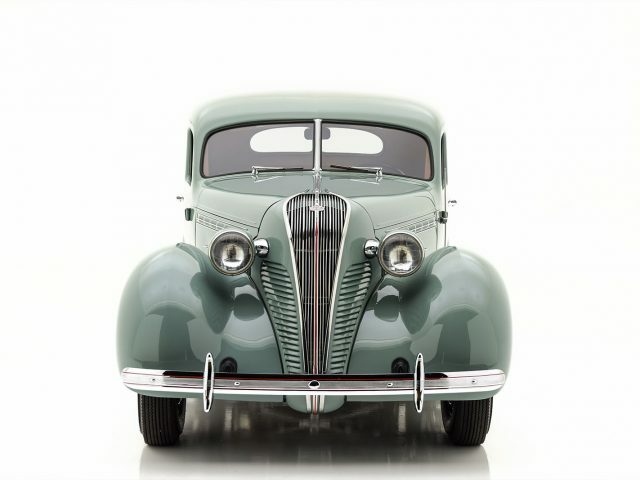 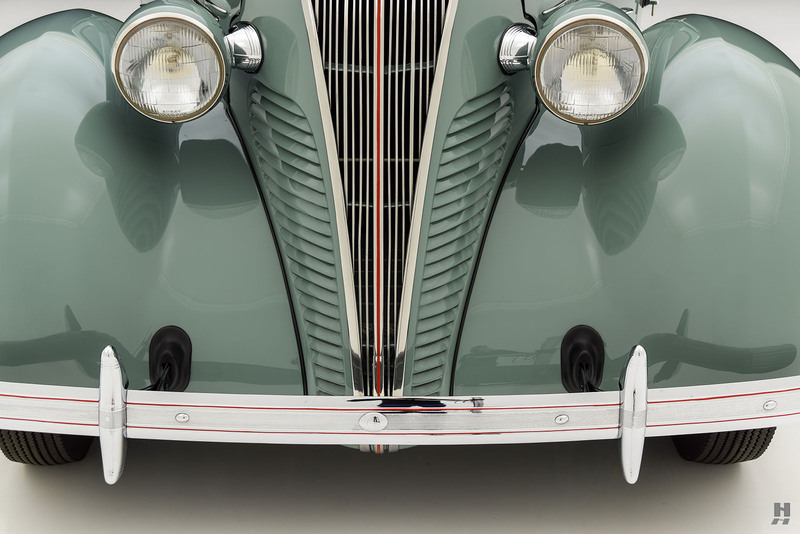 From a styling standpoint, the pretty Terraplane’s signature waterfall grille stands out as a fabulous example of late Art Deco design, and the flowing curves and full-figured fenders make for one of the most distinctive styles of the era. 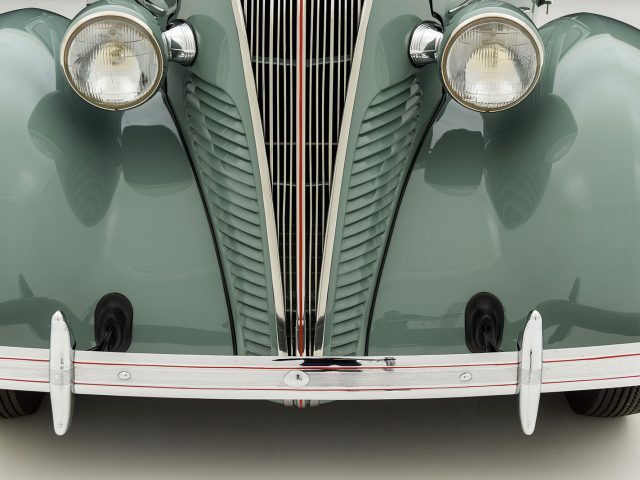 Aside from its exceptional rarity, what sets this Utility Coupe apart from nearly all other examples of the marque is the astonishing restoration. 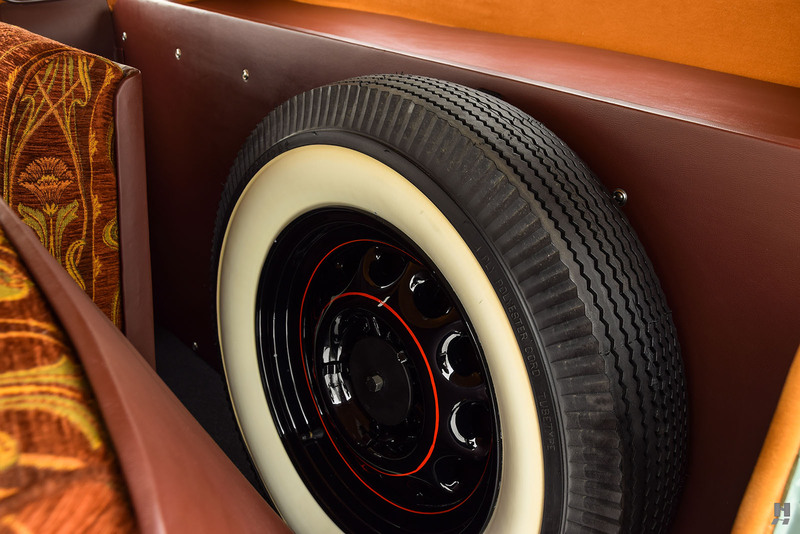 Meticulously restored over three years beginning in 2014, this Terraplane presents in better-than-new condition. 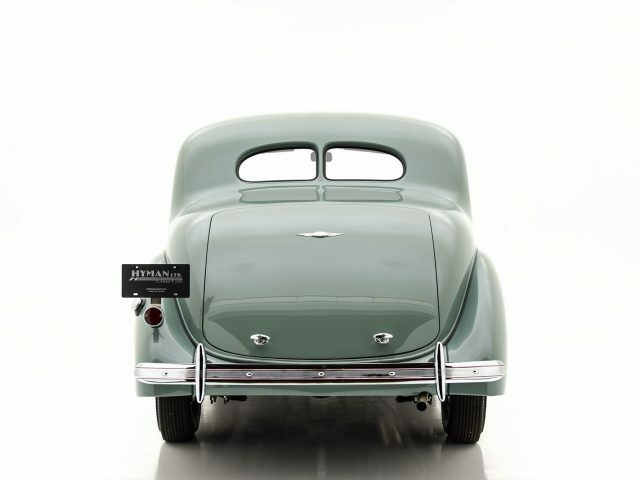 The lovely pastel green paint is exquisitely finished, with precise panel alignment and crisp detailing. 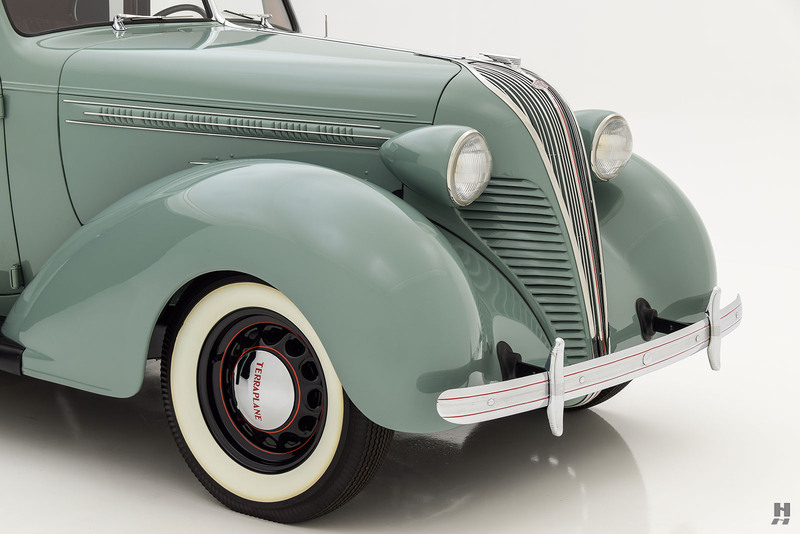 Black artillery-type wheels with subtle red stripes wear correct chrome hubcaps. 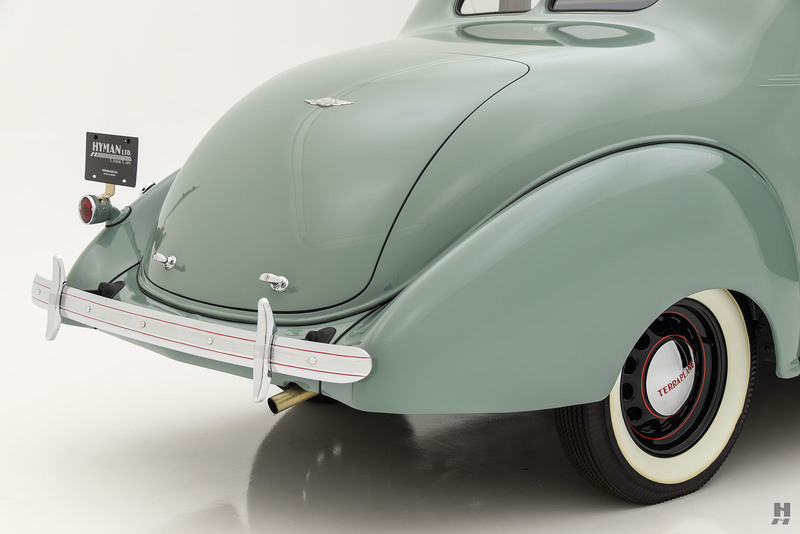 Wide whitewall tires lend a bit of an upmarket look. 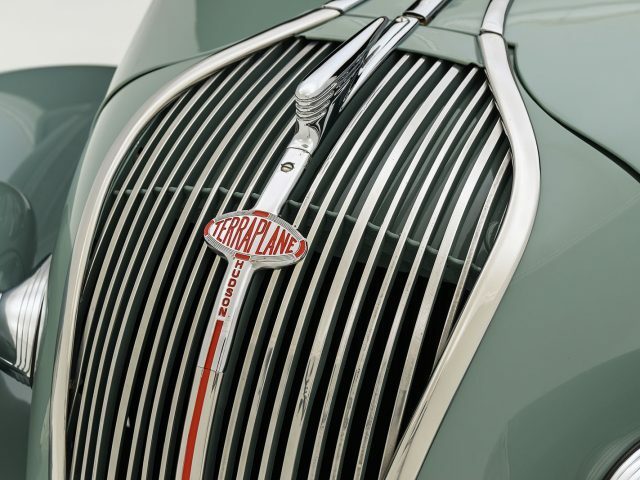 No detail was overlooked in creating the finest Terraplane in existence. 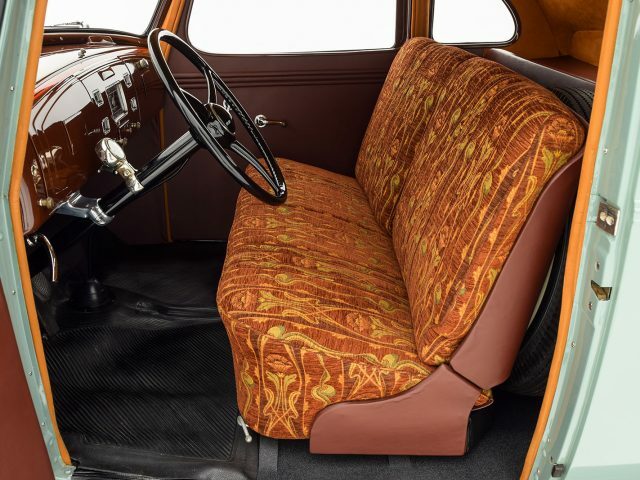 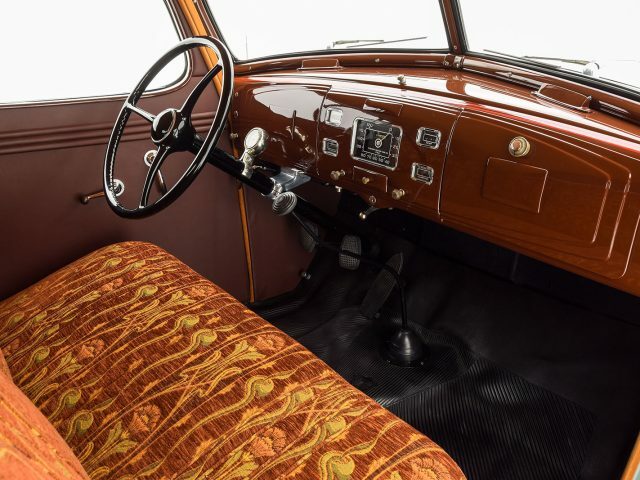 The brightly colored interior pairs wonderfully with the exterior treatment, with the signature three-across bench seat upholstered in rich, period correct upholstery. 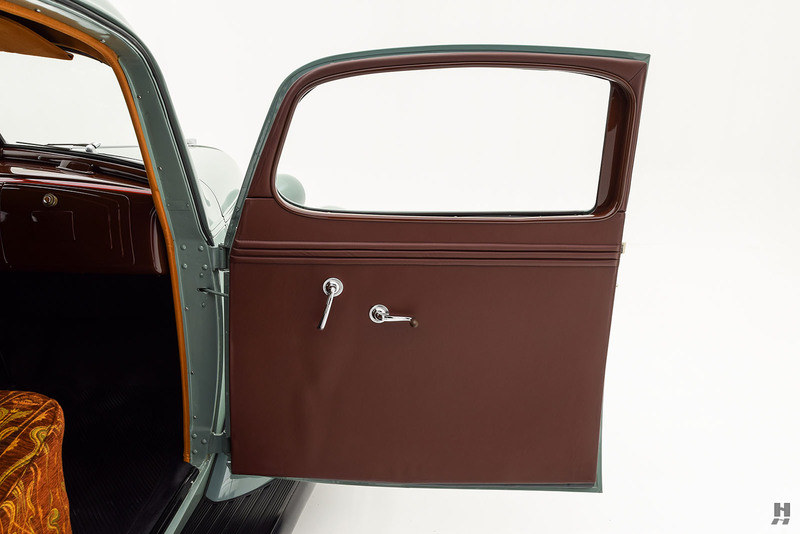 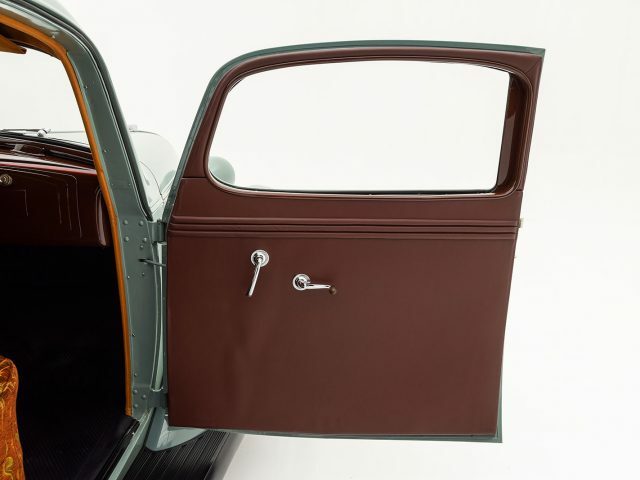 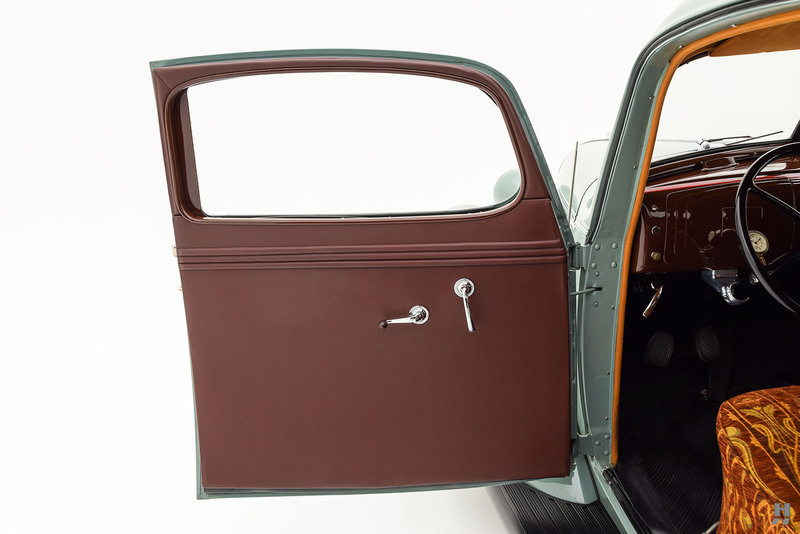 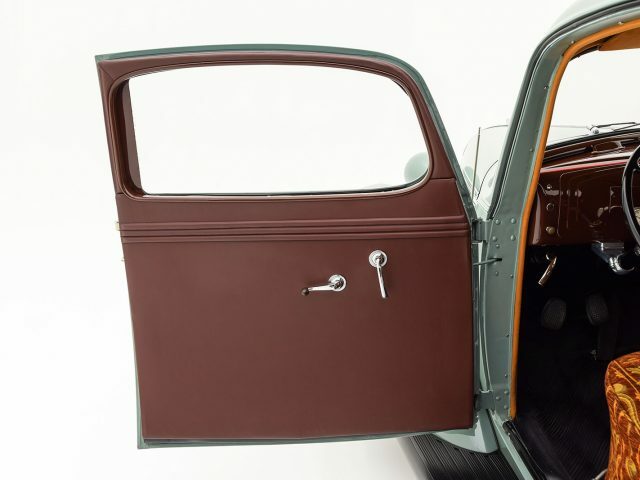 Door panels and kick panels are covered in maroon leather, and the dash finished in maroon paint. 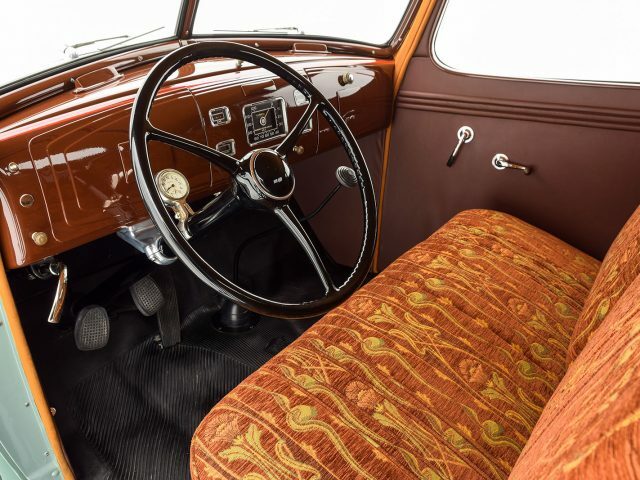 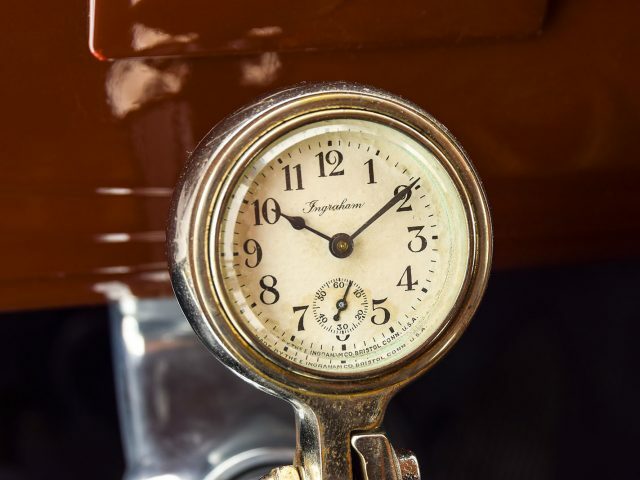 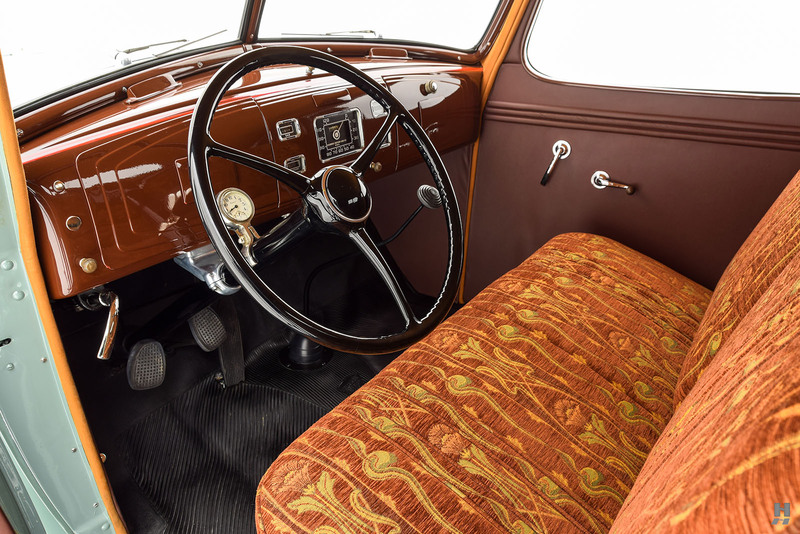 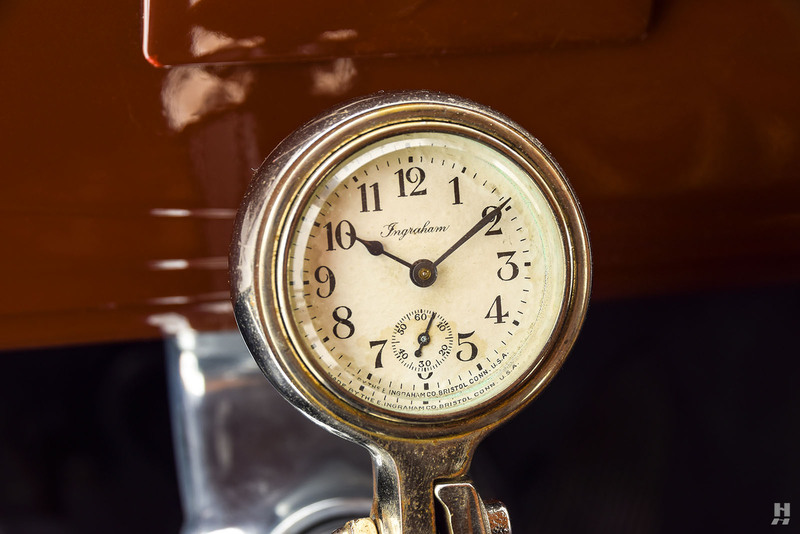 Authentic detailing includes rubber floor mats, a correct molded rubber shift knob, and a period-accessory Ingraham clock mounted to the steering column. 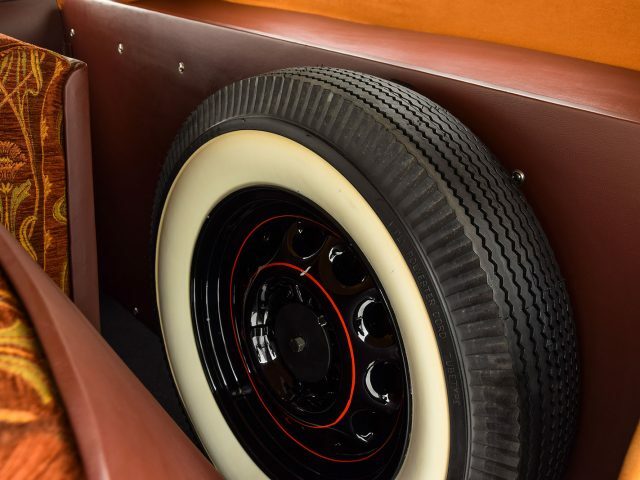 The spare wheel rides behind the seat, with the rest of the space occupied by a useful parcel shelf. 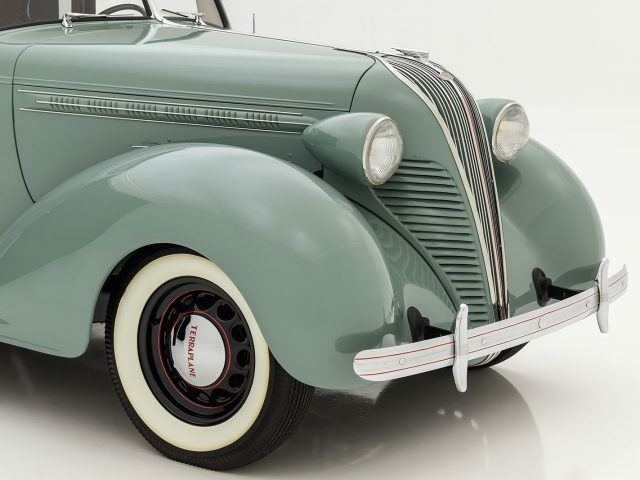 As with many commercial-oriented vehicles, attrition rates were very high as these cars were worked hard and tossed aside when deemed obsolete. 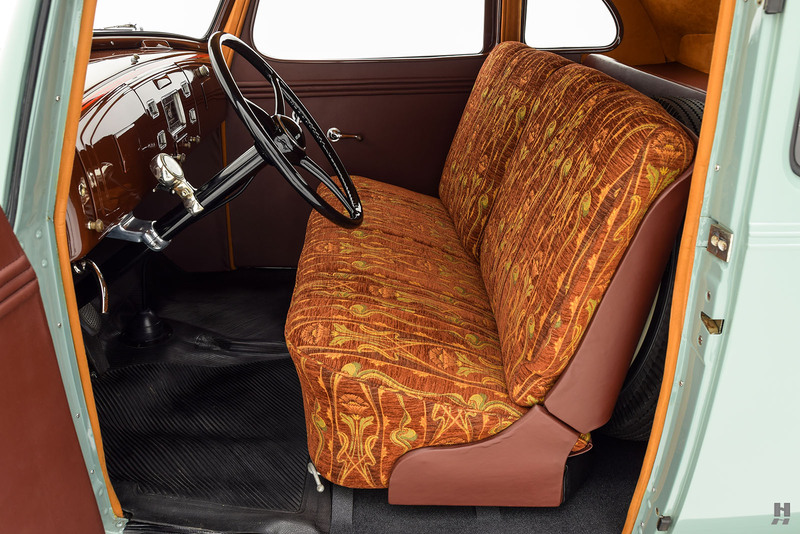 The Terraplane Utility Coupe sold in limited numbers, aimed at traveling salesman and tradesmen, the majority of them accumulated many hard miles. 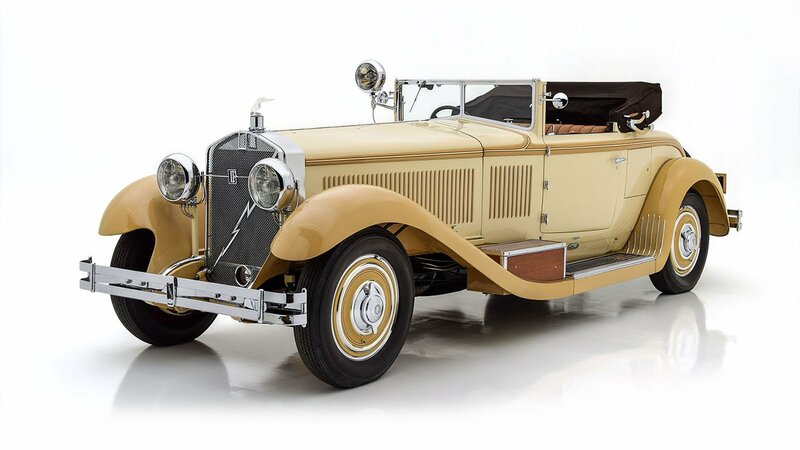 Very few original examples remain, and there is little doubt to this being the finest surviving example of its kind. 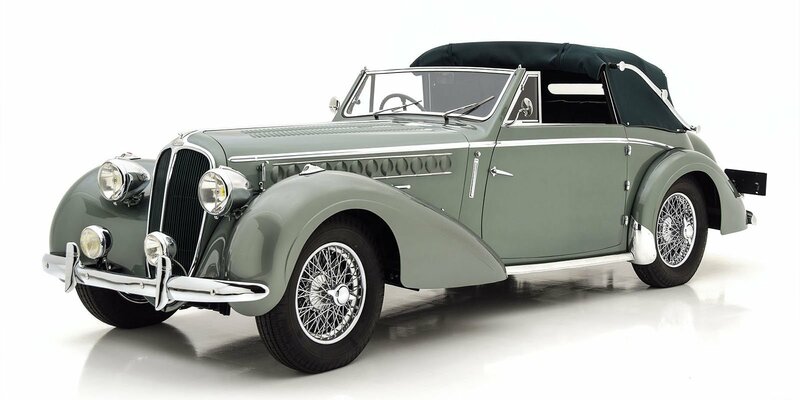 The next owner is sure to delight in its unique character, charming presence, and exquisite condition.